The holidays have launched – and so has our new online store! Since it’s Cyber Monday, can you take a moment right now and hop on over to our ExtraSpecialShop? You’ll find ExtraSpecial signature items, inspirational gifts, tea-infused bath products, gluten-free treats, and pet treats. Our new pack & ship program is rolling with participants, working along-side Ed, pulling, packaging and mailing products straight you. You might even get a special note. ❤️ Our goal is for this program to help to sustain our non-profit teahouse in Great Barrington, MA. If you’re in the Southern Berkshires, come to ExtraSpecialTeas to feel the joy, grab a hot tea, iced tea, bubble tea and gluten-free treat (or two or three). You also get to see all of our great products up close and personal. As you know, if you follow us on Instagram or Facebook, we’re all about purpose, possibility, and gratitude. We also think you understand the time and resources that go into building an inclusive community like ExtraSpecialTeas. We receive wonderful support from the Massachusetts Department of Developmental Services, foundations, private donors, and business donors. At this giving time of the year, Tuesday, November 26 is #Giving Tuesday. we ask you to make a contribution to help train and support our participants, grow our programs, and keep ExtraSpecialTeas a vital part of our Southern Berkshire community.In the video above you can learn about Nate, one of our ExtraSpecial participants. Follow us on Facebook and Instagram to see stories about Phil, Brittni and Dan. Also…Please read about our own wonderful Sonali in this year’s annual appeal letter (you may have received one in the mail). 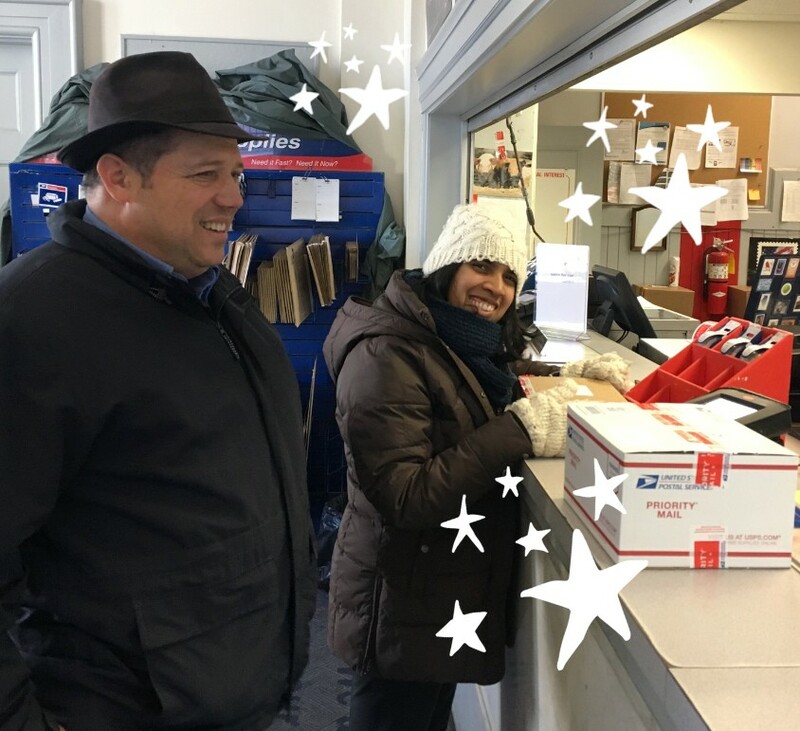 That’s Sonali in the photo below with Ed – shipping out our first orders from our ExtraSpecialShop (the online store) – she has taken on an amazing leadership role here at ExtraSpecialTeas. We’d love for you to read about what Sonali and her dad say about working at our teahouse – the difference it’s made in their lives. She’s certainly made a difference here at ExtraSpecialTeas. The Blue Party on April 6! Dan and ExtraSpecialTeas Are Ready for Christmas! You? ExtraSpecialTeas © 2018 All Rights Reserved.